Today we are excited to share with you ten tips on how to prepare for your upcoming outdoor wedding! 2. Choose your cake wisely – If you choose a fondant wedding cake this will hold up better in the warm summer heat. 3. Select chair covers and cushions – This way your guests won’t sit down on a hot seat! 4. Bring along some sunscreen – Protect your guest with little SPF favours so they beat the heat and avoid a sunburn on your big day. 5. Select an appropriate wedding dress – Opt for light material as you will be outside all day. 6. Choose short Bridesmaids dresses – Don’t make your girls get too hot on your big day, pick dresses that have a higher hemline. 7. Hydration Station – Have lots of water available for your guests and be sure to serve a non alcoholic punch as well. 8. Pick a shady spot – If your venue doesn’t have much cover, consider hiring umbrellas or gazebos for the day. 9. Plan a late afternoon ceremony – Try to have your guests arrive a bit later into the day to avoid the warm midday sun. 10. 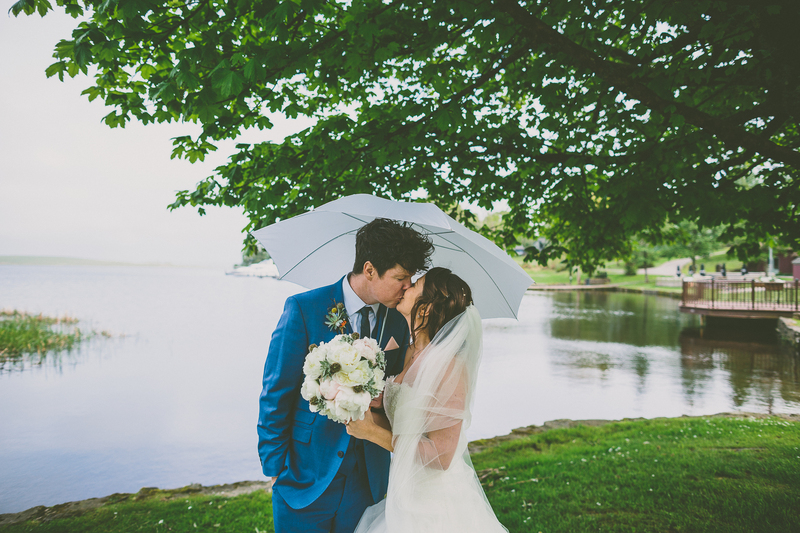 Bring umbrellas – If you are heart is set on an outdoor wedding be sure to hire a few umbrellas to have on hand. You can always find pretty white umbrellas for the Bride and her Bridesmaids!